So I got a homeschool cd from Confessions of a Homeschooler. I won’t actually do the program with her for another year but I like to plan and be ahead! It’s a lot of stuff to print and laminate so I’d rather be prepared and enjoy the process. Besides, I’ll have to coordinate when I want to do everything and I’ll have another child so I will probably be busy. Ha. Here’s what I’ve done so far. 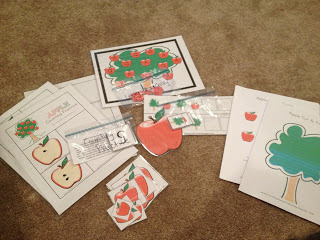 I printed out everything for the letter A. I laminated everything that needs to be laminated and cut the pieces. Some papers you don’t laminate and the child cuts or colors on them. With those I decided to print 2 because I’ll eventually do it with Hannah. Yes, I am going to be prepared!! 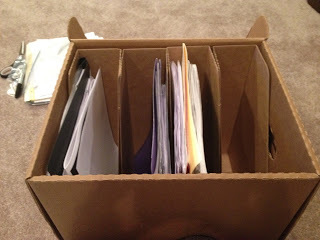 Then I decided that I wanted to store it all in one place and be organized so I know where everything is. For the small pieces I put them in baggies and labeled the baggies so I won’t lose the pieces. 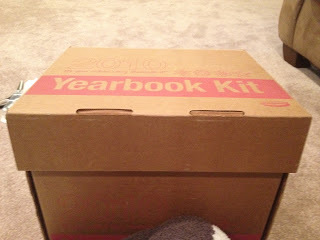 Then I have this handy box my mom gave me the other year. I’ve been using it to store my papers for Fit For Life, but won’t need to anymore. So I cleaned it out and threw a bunch of stuff away. 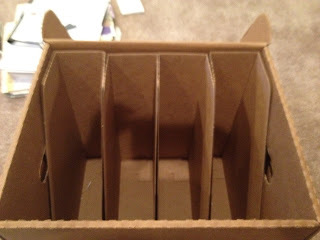 Now it’s my Homeschooling box! There’s plenty of room for all kinds of organization to happen. I’m so excited. 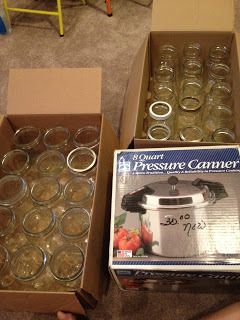 Also, I go these jars and pressure canner from a FB group, Shop the House. I know the lady I bought these from at church. I plan to do salsa soon, apple sauce, and apple pie filling. I am so excited because Kyle has been doing things in my large laundry room to get it ready for all my jars. I got all this stuff at a great deal….how much?? $40! 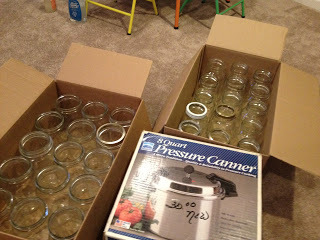 30 large jars and a pressure canner. Wow. Thank you God! I definitely have enough jars for all the canning I want to do. Also, I’m thinking about having my mom do this cake for Abby’s birthday. What do you think? I love it. 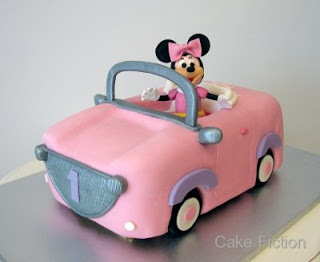 It will be a Minnie Mouse themed party, so the cake will be something with her on it. This car is just so cute! Thanks to everyone who has prayed for me with my health. It is so nice to not be sick and to feel some of my usual energy and excitement for life. This pregnancy has been wearing me down with sickness and a little bit of depression/moodiness (which is just not me). 13 weeks to go! 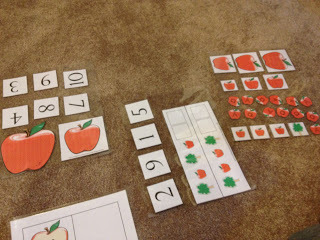 I like that your preschool stuff is tactile – great for engagement and fine motor! I LOVE the Jolly Phonics program for letter names and letter sounds. I'll be doing that with our little one to supplement whatever they do at preschool. Have fun!